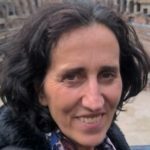 Szilvia Bencze works at the Directorate-General for Agriculture and Rural Development of the European Commission, in the Unit in charge of financial instruments under the European Agricultural Fund for Rural Development (EAFRD). She is mainly dealing with programming, legal and reporting aspects of financial instruments, and she is also participating in technical discussions related to the post-2020 drafting exercise of financial instruments related legislation, as well as discussions related to the operation of the European Fund for Strategic Investments (EFSI) and the future InvestEU mechanism in connection with the rural development policy. Before joining the European Commission, Szilvia Bencze worked for the Hungarian Ministry of Agriculture for 6 years, mainly in the Unit responsible for overseeing and regulating agricultural finance, soft loans and guarantee schemes. 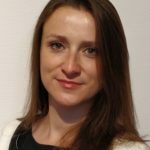 Szilvia Bencze holds a university degree in Agricultural Economics and Rural Development and a Master’s degree in Finance. John Carmody is a Director within Guarantee and Wholesale Solutions at the BBB. Since joining the bank in 2014 he has had responsibility for the national Enterprise Finance Guarantee. This flagship scheme facilitates business finance to smaller businesses that are viable but unable to obtain finance from their lender due to having insufficient security to meet the lender’s normal requirements. He has recently overseen a comprehensive review and successful re-launch of the Guarantee. Now also heading up the Portfolio Unit, his responsibilities include the wholesale guarantee products. Prior to joining BBB, John worked as a Regional Manager with Barclays Bank before joining the UK Civil Service. There he led key policies addressing SME access to finance and Student Loans within the Department for Business, Energy and Industrial Strategy. He has a wealth of experience in SME and commercial banking, change management and public policy development and delivery. He was also Chief Examiner for the IFS School of Finance for six years. 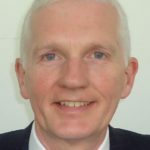 John has a Masters Degree in Business Administration and is a Fellow of the Chartered Institute of Bankers. He is also a Magistrate. Lucia Cusmano is Senior Economist and Head of the SME Policies and Business Environment Unit at the OECD Centre for Entrepreneurship, Small and Medium-sized Enterprises, Regions and Cities (CFE), and Executive Secretary to the OECD Working Party on SMEs and Entrepreneurship (WPSMEE). 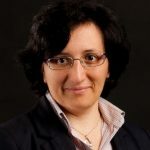 Ms Cusmano has a PhD in Economics from the University of Pavia (Italy) and has completed a Master of Science in Economics at Warwick University (UK). She has authored OECD works on SME financing, SME innovation, SME eco-innovation and green entrepreneurship, and benchmarking of SME and entrepreneurship policy. She has also published extensively in international journals on SMEs, entrepreneurship, innovation, structural change, institutions and economic development in advanced and developing regions. She was elected a secretary of the Committee on Financial Sciences of the Polish Academy of Sciences for the third term of office (2015-2018). She is actively involved in capital market research and promotes financial management trend in accordance with the concept of corporate social responsibility. In 2014, Teresa Czerwińska was appointed by the Minister of Economy a Member of Corporate Social Responsibility Team. In the years 2010-2011 she was employed as an associate professor at the Faculty of Management at the University of Gdańsk. 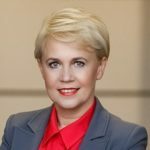 From 2011 to this day, she has been employed as an associate professor in the Department of Financial Systems of the Economy at the Faculty of Management of the University of Warsaw. Since 1994, she was with the Bank Zachodni WBK Group. In the years 1994 to 2000, she worked in the branch office function. From 2000 to 2005, she was in charge of the implementation of several strategic projects, including the New Branch Office Model, Minibank 24, for corporate bank clients, and she was responsible for the restructuring/optimization of the branch office network. In the years 2005 to 2007, she was the head of the Real Estate Department and, from 2007 to 2014, the head of the Logistics and Real Estate Area. From 2008 to 2013, she was first a member and then the chairman of the Supervisory Board of BZWBK Nieruchomości. 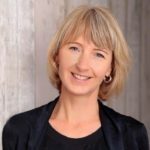 Since 2012, she was with the Business Partnership Division of BZWBK, where, since 2013, she was in charge of the organizational culture transformation project in Retail – New Generation Bank. In the years 2014 and 2015, she was the head of the HR Partnership Area. Since 2015, as a member of the Management Board of BZ WBK, she headed the Business Partnership Division, including the following areas: HR (including recruitment, personnel development, remuneration, organizational culture), strategy and organization, costs, financial expenditure and procurement, security and logistics, and other business support areas. 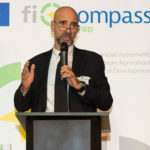 Gianmarco Dotta is the President of Assoconfidi, the national association representing the private guarantee system (Confidi) at national level in Italy. He is also Vice President of the Confidi Sardegna Board of Director – member of the Federconfidi (National Federation of Confindustria) and Vice President in a local Bank ( BCC Cagliari ). He is the former Chairman of IGI, a private guarantee national Fund, offering services and counter-guarantees to the associated Confidi. He is also sales and marketing director of an industry which provides construction accessories in wood. He loves sport: triathlete (4 half Ironman concluded) and sailing instructor. Former professional basketball player. José is Coordinator of GNGI – Global Network of Guarantee Institutions, the network representing the Guarantees Industry worldwide, Special Honorary Chairman of AECM, with the representation for outside of Europe and Chairman of Agrogarante MGS, mutual guarantee society for agriculture, agro-business, fishery and forestry. He’s Member of task forces and expert groups namely from OECD and the WB and of the Advisory Board of AEP – Portuguese Chamber of Commerce, Founder of Knowledge Factory, Co-Founder of Democratic Company and of Quinta da Folgosa Velha – family wines. He’s Advisor to European governments and other public and private international organizations and a lecturer at the Porto Business Academy Master’s. Among others, he was Chairman of AECM, CEO of the Portuguese Development Bank – IFD, Founder, Chairman and CEO of SPGM and all the guarantee societies in Portugal (Norgarante, Garval, Lisgarante and Agrogarante), of 2Partner VC and of PME Investimentos – Investment Company. 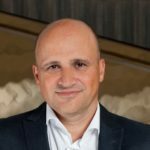 He was member of the Porto Business Angels Network (Invicta Angels) and executive board member of the Portuguese SME agency IAPMEI. José holds a 5 year degree in economics and the frequency of a master in industrial economics. Sociedade de Investimento, SA since May 2017. She is also member of the board of Norgarante – Sociedade de Garantia Mutua, SA., IFD – Instituicao de Desenvolvimento, SA and President of the Asociacion Red Iberoamericana de Garantias – REGAR. 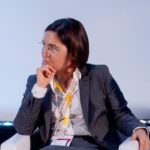 As Economic Advisor to the Minister of Economy, Portuguese Ministry of Economy Beatriz was responsible for the coordination of economic analysis and policy advice in the areas of responsibility of the Minister of Economy, coordination of the elaboration of the main public policy documents regarding public finances and economic growth (namely State budget, National Reform Programme, Stability Programme) and coordination of public policies of access of companies to financial instruments under the European structural and investment funds. Beatriz was designated by the Minister to participate in the Task Force for the Capitalization of Companies aimed to designs and implements instruments to leverage private capital and financing, diversification of funding sources, reduced administrative burden, improve neutrality in the tax treatment of equity and debt financing and create a more friendly framework at the level of debt and companies´ restructuring procedures. 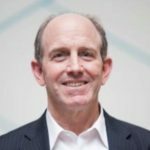 Matthew Gamser is CEO of the SME Finance Forum, the world’s leading center for knowledge exchange, good practice promotion and networking for the finance industry in this field. The SME Finance Forum is managed by the International Finance Corporation (IFC) for the G-20 countries’ Global Partnership for Financial Inclusion. The SME Finance Forum has over 140 banks, fintech companies and development banks from more than 60 countries as its members and industry partners. Dr. Gamser has over 35 years’ experience in private enterprise and financial sector development. He has worked for IFC, the private sector arm of the World Bank Group, for 13 years in various positions from Washington, DC, and Hong Kong, where he has focused on SME finance and on financial sector development. Prior to that he spent 25 years in management consulting and in senior leadership in an international NGO. He holds A.B. and A.M. degrees from Harvard University, and M.Sc. and D.Phil degrees from Sussex University (UK), where his work focused on the management of technological change. In 2016 he was the Managing Director of Capital Markets Department at Ipopema Securities. 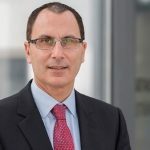 Prior thereto, for 9 years he had been Partner at Deloitte responsible for creation and implementation of advisory projects on M&A in the energy sector in Central Europe. Between 1998 and 2008 he worked at UniCredit Markets & Investment Banking / CA IB in Warsaw and then in Vienna where he served as, among others, the Director of Energy&Utilities Department. He was also a member of the teams at EY in Warsaw as well as Cortland, Brovitz & Co. in New York. He has got over 20 years of experience in investment banking and corporate finance. He advised on over 50 transactions mainly in the energy sector, but also in the banking, machinery, construction, food, IT, petrochemical and many other sectors in Poland as well as Eastern Europe and Turkey. Roger Havenith is Deputy Chief Executive of the EIF since 1 January 2016. The Chief Executive and the Deputy Chief Executive form the executive management of the EIF responsible for the EIF’s strategy and its day-to-day management. They jointly submit requests for approval to the EIF Board of Directors. In his role as Deputy Chief Executive, Roger is supervising the risk management, compliance, financial control and middle/back-office services of EIF, ensuring the smooth running of processes that enable EIF to carry out its business. He acts as main senior counterpart for the EU institutions, notably European Commission, Parliament and Court of Auditors. In this function, he also represents EIF in the discussions with EIB and EC on the next EU Multi-Annual Financial Framework and in the preparation of the next generation of financial instruments addressing EU policy priorities. 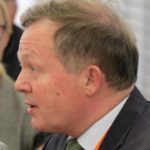 Previously, he was heading the EC’s DG ECFIN Unit L2 on financing of innovation, competitiveness and employment policies for more than five years. 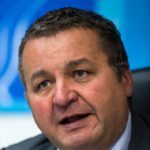 His long-standing professional career with the EC – which he joined in 1990 – includes several key roles: among others, he was a Commission negotiator and member of the EC team in charge of the European Fund for Strategic Investments (EFSI) SME Window, as part of the Investment Plan for Europe. For several years he also led the EC’s Designated Service responsible for the negotiation, implementation and oversight of financial instruments under CIP, EPMF, MAP and other initiatives. Roger Havenith has a B.A. in Business Administration from HEC St. Louis in Brussels (Belgium) and LL.M. in International and Comparative Law from Vrije Universiteit Brussel. He also earned a postgraduate degree in European Studies from Institut d’Etudes européennes de l’Université Libre de Bruxelles and M.A. 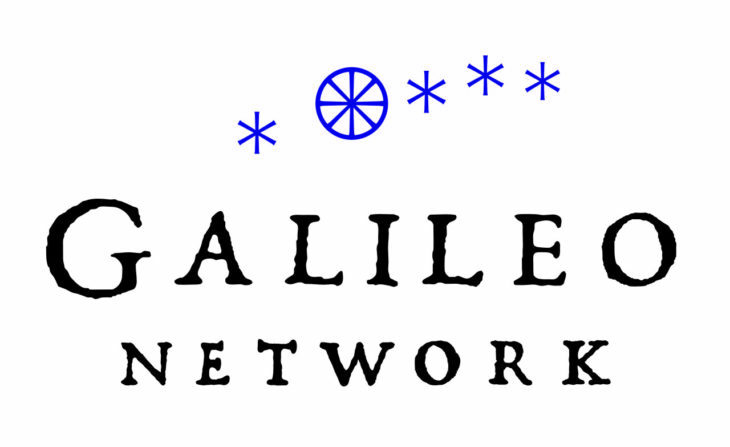 from Licencié-Interprète, Institut supérieur de Traducteurs et Interprètes. Gerhard Huemer is Director for Economic and Fiscal Policy at UEAPME since 1999. His main dossiers are: SME finance and relations to Banks, State aid policy, R&D and innovation policy; economic policy coordination, macroeconomic dialogue, monetary policy and tax policy. Furthermore, he is responsible for the UEAPME Study Unit and the Press Office. Before Huemer works as Executive Secretary of the “Economic and Social Council” of the Austrian Social Partners” and at the Economic Policy Department at the Austrian Economic Chamber. He has a Diploma as Economist from the University of Linz, Austria and he publishes twice a year the EU SME Barometer. 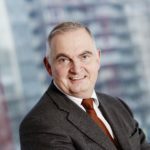 Bernard Jehin has been until June 2017 member of the executive committee of Sowalfin, a financial company owned by the Walloon Region Belgium and also member of the board of Transeo, the European Association for SME Transfer. Previously, he held key positions in Belgian private and public financial institutions. He holds a master’s degree in economics from the University of Namur. Kerstin Jorna is a German national and a civil servant at the European Commission where she has held various positions, amongst others as Head of Cabinet of several Commissioners and different Director posts in the areas of Intellectual Property, Innovation and Standards, Single Market Policy, Regulation and Implementation. Since December 2016 she is Deputy Director General in the Economic and Financial Affairs general directorate. Her areas of responsibility include, amongst others, macroeconomic surveillance of EU Member States, structural reforms, finance matters including the European Investment Plan and coordination with international financial institutions. Mrs. Jorna is the Commission nominated Board Member at the European Investment Bank. Kestutis Juras has been working for the EC since 2008. He is team leader for debt finance in a Unit responsible for Financing on innovation, competitiveness and employment policies, DG Economic and Financial Affairs, European Commission. He is responsible for debt financial instruments under the SME Window part of the European Fund for Strategic Investments and other European innovative instruments designed to support investment in innovative enterprises, SMEs, micro- and social enterprises. Previous experience includes working as an advisor to MEP, project manager and credit analyst with commercial banks as well as securities market infrastructures (Lithuanian Securities Commission and Central Depository). He holds a master’s degree in Economics from Vilnius University. Dr. Helmut Kraemer-Eis (European Investment Fund, EIF) is Head of EIF’s Research & Market Analysis (RMA) and EIF’s Chief Economist. The EIF is the EIB Group’s specialist provider of risk finance to benefit Small and Medium sized Enterprises (SMEs) across Europe. By developing and offering targeted financial products to its intermediaries, the EIF – as part of the EIB Group – enhances SMEs’ access to finance and fosters EU objectives, notably in the field of entrepreneurship, growth, innovation, research and development, employment and regional development. RMA supports EIF’s business development and strategic decision-making processes through applied research, market analyses, and impact assessments. Prior to this, Helmut developed and headed EIF’s Guarantees and Securitisation Risk Management. 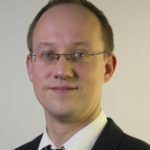 He also worked as Senior Manager at KfW (Germany) in the field of Business Policy / Securitisation and in KfW’s Economic Research Department. Helmut holds a M.A. in Economics from the University of Bonn (Germany) and a PhD from the University of Jena (Germany), where he also worked as researcher and teaching associate. He often speaks in international fora and has authored or co-authored numerous research publications on economic topics, i.e. related to SME finance. Appointed as Secretary of State in the Ministry of Development in November 2015. Earlier, in 2005–2008, he held the position of Deputy Minister of Regional Development. He was directly responsible for coordinating the national development policy and the Cohesion Policy (the National Development Strategy for 2007–2015 and the National Cohesion Strategy for 2007–2013), as well as for negotiating with the European Commission. Since May 2008 – the President of the Management Board of the European Center for Entrepreneurship Foundation and the Vice-President of the Management Board of the Europejskie Centrum Przedsiębiorczości sp. z o.o. BCC’s expert for regional development and structural funds. He also worked as an advisor during the drafting of World Bank’s reports. 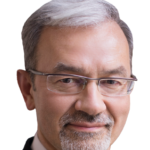 Jean- Louis Leloir, 65, graduated from the French High Business School ESCP, has filled various responsibilities, mostly in the field of loan guarantee schemes, in the Bpifrance group, French public development institution supporting SME financing. Formerly Credit Manager and Auditor, he was for the last 10 years Head of Technical Assistance and Consulting, addressing expertise to foreign guarantee institutions, mostly in MENA Region, in assignments from Donors and International Institutions (World Bank, AFD, OECD, and European Commission). He is presently Special Adviser to the Board of the European Association of Guarantee Institutions. With almost 30 years of experience in the promotion of start-up companies, SME and innovation-oriented businesses with various instruments, mainly guarantees, Kurt Leutgeb has a comprehensive knowledge in the field of financing and banking. a MBA from the Vienna University of Economics and Business He holds the position of Head of Division “Guarantees and Equities” in aws (Austria Wirtschaftsservice GmbH). Being a Member of the Board of Directors of AECM from 2002 to 2012, he is a deputy member since 2012. 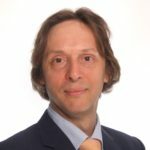 His key qualifications range from development and implementing promotion programmes and instruments (especially in the field of start-up, sme and innovation) to the development and implementing of aws guarantee policy and experience in consulting and training of guarantee institutions in eastern European countries (various training visits and local seminars). Director of the Finance and Accounting Department in Universidad Loyola Andalucía. I have taught Accounting and auditing courses in this University from 1991. Chief Financial Officer of the Business School (1999-2008). I have participated in professional and academic seminars and meetings and I have written academic and professional papers. Member of the Board of Director of the Spanish Business and Accounting Association (AECA), member of its International Relations Committee and Director of the Newsletter the Accounting Update. My research topics are Accounting, Auditing and SME finance. Doris Neuberger is Professor of Economics at Rostock University, research fellow at DIW (German Institute for Economic Research) Berlin, research director at iff (Institute for Financial Services) Hamburg, Germany, and co-director of CERBE (Center for Relationship Banking and Economics) Rome, Italy. 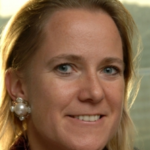 She is member of FSRN (Financial Risk and Stability Network), the Senate Competition Committee of the Leibniz Association and the Committee for Industrial Economics at the German Economic Association (Verein für Socialpolitik). She was member of the German Economic Association’s managing board. Her research focus is on SME finance, household finance and consumer protection, Industrial Economics of banking, financial systems and the social role of banks. She received her academic education at the University of Erlangen-Nuremberg, Germany. Graduated from the Faculty of Natural Sciences at the University of Wrocław and Postgraduate Studies in Banking and Finance at Warsaw School of Economics. Since 1991 associated with the Polish Bank Association as Director, Director General and since April 2003 President of the chamber. Secretary of the Supervisory Board of Credit Information Bureau. Since 2003 till 2016 Member of the Board of Banking Guarantee Fund. Former Member of the National Centre for Research and Development. Member of the. President of “Promyk Słońca” Foundation. Vicepresident of “Teraz Polska” Chapter. 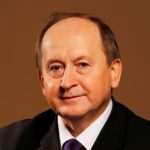 Founder and co-founder of banking infrastructure enterprises and of Polish Institute of Directors. 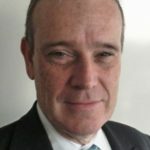 Pedro Pisonero holds a degree in Economics from the University of Valladolid and a master’s Degree in financial management from the CESEM, Institute of Company Directors in Madrid. He started his career in 1985 in the field of Mutual Guarantee Institutions at SOTECA SGR, the forerunner of Iberaval. Later he focused on investment in company capital in the region of Castilla y Leon working for SCR Sodical for 17 years. As investment manager of Sodical he carried out multiple projects implemented in the Community. 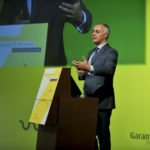 He later developed for a period of three years the implementation of the public financing institution of Castilla y Leon region, ADE Financing SA, under the regional government. He was director of investments and took part in the financing of small, medium and large businesses and also represented the company in the boards of parent companies such as Iberaval SGR. In March 2010 he took over the Directorate General of Institutional Relations and Risk Management of Iberaval. Since September 2011 he is the Managing Director and is carrying out an ambitious growth plan. He is also Vice-President of AECM through SGR-CESGAR. Pablo Pombo has a PhD in economic and business sciences and is Professor of the University of Cordoba (Spain). He has almost 40 years of experience in the sector of credit guarantees for SMEs and was Founding President of AECM in 1996 and President of its first Board. He is General Secretary of the Ibero-American network of guarantees Association (REGAR) and international guarantees systems consultant. He has participated in over 34 international projects. He has been President of the Spanish Confederation of SGR’s (CESGAR) and was Member of the Board of the Spanish counter guarantee (CERSA). He works as an international consultant on guarantees systems for several multilateral organizations, amongst them the United Nations Program for Development PNUD, the inter-American Bank for development (IDB) and the World Bank. Within the activities with the World Bank he is part of the Task Force “Design, implementation and evaluation of public credit guarantee schemes CGS for SMEs” in 2015 and “Additionality Assessment Framework for Credit Guarantee Schemes” in 2017. Vasco Rodrigues is the Executive Director of CEGEA (Research Centre on Management and Applied Economics) at Católica Porto Business School. In this condition, he has been involved in over seventy research projects, including three previous studies on the economic impact of the Portuguese Mutual Guarantee Scheme. 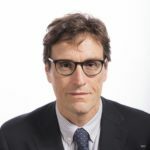 Vasco is an Associate Professor at Católica Porto Business School where he teaches Industrial Economics, Microeconomics, and Economic Analysis of Law. Vasco is the author of books on Economic Analysis of Law and Mergers and Acquisitions. 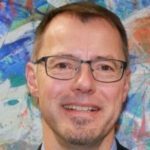 He has published in several international journals, including the International Journal of Industrial Organization, the Review of Industrial Organization, the International Journal of Health Economics and Management, and the Scandinavian Journal of Economics. Vasco holds a Ph.D. degree by the Portuguese Catholic University. 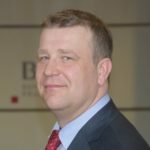 Gernot Roessler, 43, is General Counsel since 2015 of the Association of German Guarantee Banks (Verband Deutscher Bürgschaftsbanken e.V. – VDB), Berlin. After completing his legal degree, he worked in a law firm and for the Association of German Banks as legal adviser. In 2005, he started to work as a lawyer for companies and capital markets law . Then from 2008, he served as legal adviser for national and international issues for the As-sociation of German Banks. 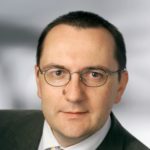 Since 2015 he is head of legal department of the German Guarantee Banks Association in Berlin Gernot Roessler is a member in the “Smaller Banks Committee” of the German fed-eral financial supervisory agency and in the “Regulatory Issues Committee” of the SCHUFA Holding AG. Since 2009 Bernhard Sagmeister is Managing Director of Austria’s Federal Promotional Bank ”Austria Wirtschaftsservice GmbH” (aws) and the ERP-Funds (European Recovery Program). Furthermore, he chairs the “aws Venture Funds” and Austria’s “National Foundation for Research, Technology and Development” (NFTE). Bernhard Sagmeister draws on over 20 years of professional experience in the financial and banking industry. From 1994 to 2003 he held various management positions at Kommunalkredit, until he became CEO of Kommunalkredit Public Consulting (KPC) in 2003. Likewise, he has been Executive Director of Austria’s “Environmental and Water Management Fund” for over 6 years. In addition, he gained 3 years of international experience during his posting as CEO at Kommunalkredit Public Consulting in Russia. A graduate of Vienna’s University of Natural Resources and Life Sciences (MSc. – Environmental Engineering and Water Management), Bernhard Sagmeister was assigned at different consulting firms, responsible for projects related to structural engineering and urban water management. In addition to his current appointment at AWS Bernhard Sagmeister is affiliated to the supervisory board of the Austrian Bank for Tourism Development (ÖHT), member of “Austria´s External Economic Relations Advisory Board” (Federal Chamber of Commerce, Austria) and board member of Austria’s “Water and Waste Management Association”. Kristin Schreiber is the Director in charge of the COSME Programme (fostering the competitiveness of European SME’s) as well as SME, start-up and scale up policy in DG GROW, the DG for Internal Market, Industry, Entrepreneurship and SME’s of the European Commission. After graduating from the Institut d’Etudes Politiques de Paris, Studies in International Relations and Economics and obtaining a M.A. in European Studies from the University of Kent at Canterbury and the College of Europe in Bruges, she worked as a Graduate Lecturer at the University of Kent in Canterbury and a researcher on the Single Market in Bonn, before joining the European Commission in 1990 where she held a variety of positions. Kristin was appointed to her current position in 2015 after serving as Director for Governance of the Single Market and International Affairs. Previously, she was Head of Cabinet of Employment Commissioner Vladimir Špidla, Deputy Head of Cabinet of Internal Market Commissioner Michel Barnier and member of the Cabinets of Enlargement Commissioner Günter Verheugen and Competition Commissioner Karel Van Miert. She also served as Head of Unit for International Affairs in the DG for Employment and Social Affairs. Kristin speaks German, French, English and Spanish, some Italian and has notions of Czech and Slovak. Guy Selbherr is member of the board of the guarantee bank of the federal state of Baden-Wuerttemberg, Bürgschaftsbank Baden-Württemberg GmbH and CEO of the SME-oriented investment company MBG Mittelständische Beteiligungsgesellschaft Baden-Württemberg GmbH. Guy Selbherr was born in 1965. He trained as lending officer at a co-operative bank. Later he studied business and administration. In 1992 he started working at the guarantee bank of the federal state of Baden- Wuerttemberg, the Bürgschaftsbank Baden-Württemberg. He then became executive assistant. In 2004 he was elected member of the board of directors. At the same time he became CEO of the SME-oriented investment company MBG Mittelständische Beteiligungsgesellschaft Baden-Württemberg. 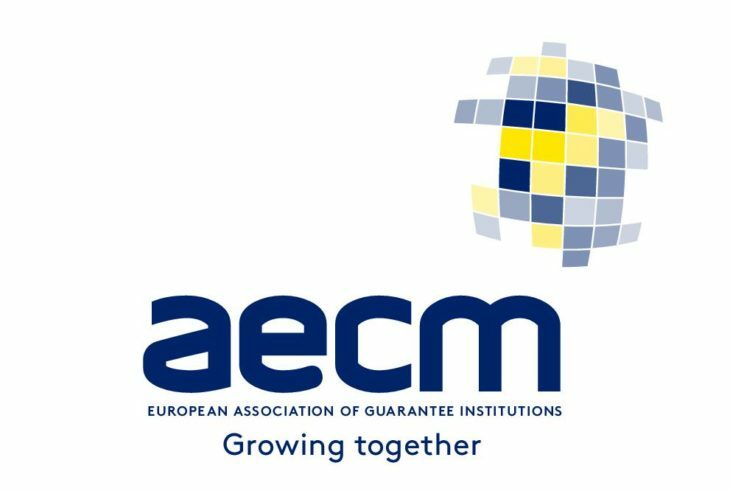 Mr Selbherr is Vice President of the European guarantee association AECM. In June 2014 he was elected President of the association of German guarantee banks VDB, Verband Deutscher Bürgschaftsbanken, in Berlin, mandate that has been renewed in 2017. P. Moni SenGupta, is the acting Program Manger in the FIRST Initiative, in the World Bank. The FIRST Initiative, a multi-donor trust fund on financial sector reform and strengthening technical assistance. Prior to joining the World Bank in October 2011, she served for 10 years as a Senior Counsel in the Legal Department at the International Monetary Fund. She had previously served as a Senior Associate with Arnold & Porter, LLC, an international law firm in Washington DC, in the financial institutions practice. 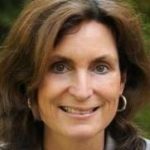 She started her career at the Legal Department of the Office of the Comptroller of the Currency, United States Department of Treasury, departing as a Senior Attorney after 5 years. Her expertise is in managing complex legal reform and financial sector development, with extensive experience in financial sector regulation and problem bank resolution, AML/CFT assessments and technical assistance, public international law, transparency/governance/corruption, the Financial Sector Assessment Program, debt-relief for low-income countries, and offshore financial institutions. She received her LLM from Boston University Morin Center for Banking Law Studies, her Juris Doctor from the Ohio State University Moritz College of Law and a Bachelor of Science in Economics and Spanish from Carnegie Mellon University. He has worked in the banking sector for more than 20 years. In that period, he held managerial posts and was responsible first of all for bank strategies and customer relations. 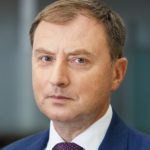 In 2009–2014, he held the position of the President of the Management Board of Rabobank Polska S.A., and since October 2014, he has been working in PKO Bank Polski. 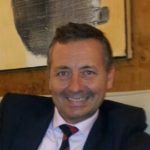 He acquired his professional experience working for ABN Amro BANK (in Warsaw and in the Dutch head office of the bank in Amsterdam), Citibank Poland, and the National Bank of Poland. A graduate of the Central School of Planning and Statistics in Warsaw (currently the Warsaw School of Economics), the Faculty of Production Economics, and the Stockholm University in the scope of banking and finance. Baptiste Thornary is a graduate of ENSAE Paris Tech, Paris graduate school of Economics, Statistics and Finance. He has worked within the Evaluation, Economic and Prospective Studies Department of Bpifrance since 2013. He is in charge of the Evaluation and Macroeoconomic Studies Unit within the Department since 2015. 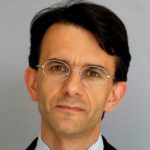 Before joining Bpifrance, he worked as an economist at the French Treasury (2007-2012) on macroeconomic and forecasting studies as well as financial sector and firms financing analysis. 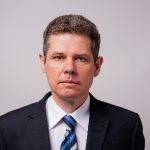 László Tóth (50) is the deputy CEO and member of the board of the Hungarian Rural Credit Guarantee Foundation (AVHA) overseeing the company’s accounting, IT, credit control and workout activities. AVHA is a guarantee organization which specializes in agriculture and has an existing guarantee portfolio of appr. 500 mio EUR. 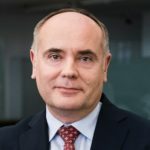 He has 23 years of experience at various foreign-owned commercial banks in Hungary, primarily in the field of corporate banking and structured trade finance. He received his M.Sc. degree from the Corvinus University (Budapest) in Economics in 1992 and his MBA from MIB School of Management (Trieste) in 1993. He is a deputy member of the board of AECM and chairman of the working group for agriculture. Giorgio Venceslai has the responsibility of Credit and Development Projects Department at ISMEA. Until 1999, he worked for ten years at the Italian Banks Association following rural credit and the guarantee funds issues. 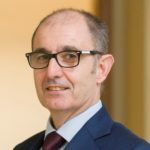 Giorgio is co-author of a book about Basel II and rural credit and is also author of a number of articles and interviews regarding rural finance and financial instruments. He recently worked – as a consultant – implementing a project aimed at designing and developing a State guarantee fund in Eastern Africa. Economist with 20 years of experience in consulting, strategic analysis, regulatory and public management. Chief Economist at BGK since February 2018. Earlier Senior Economist at PwC Poland co-leader of the regulatory team. A long-time associate of CASE (Center for social and economic research) involved in consulting projects and research relating to the countries of Central and Eastern Europe and Asia carried out on behalf of the international agencies, such as USAID (US Agency for International Development), GIZ (Deutsche Gesellschaft für Internationale Zusammenarbeit), DFID (UK Department for International Development), the European Commission, the World Bank and UNDP. Member of Board of Strategic Advisors of the Prime Minister of Poland in years 2008-2010.